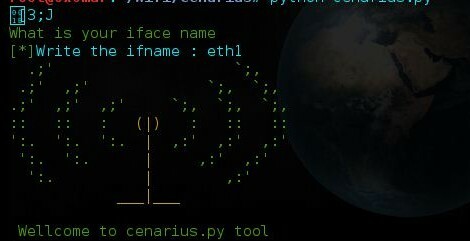 Browse: Home / Cenarius ~ is a wifi cracking tools. cenarius tool for crack wpa wpa2 wep . and hide network too But don,t write the ussid if the AP is hide. – You do not need to worldlist . – not need complex crack tools . – just generate *(psk generate) . – 6 pass in 1 min time elapse crack. – wpasupplicant especially wpa_cli . Thanks to everyone that contributed to this project. print G +" . ;' `;, "
print G +" . ;' ,;' `;, `;, "
print G +". ;' ,;' ,;' `;, `;, `;, "
print G +":: :: : "+O+" (|) "+G+" : :: :: "
print G +"':. ':. ':. "+O+" | "+G+",:' ,:' ,:' "
print G +" ':. ':. "+O+" | "+G+" ,:' ,:' "
print G +" ':. "+O+" | "+G+" ,:' "
print G+"[#]"+W+"Your scan will start now :D "
print '[' + G +'*' +W +'] ' + "scan finish "
router = "netgear or 3com "
print R + "[!] " +W + "ERRor Write the true bssid "
print G +"[*] " + W + "Your crack will start"
← Cuckoo Sandbox v-2.0-dev released : is an automated dynamic malware analysis system.